Card of the Day ~Sunlight~ The sun’s rays have natural, curative power. Although balancing your exposure is essential to avoid sun damage, there are also numerous scientifically verified health benefits. This card may be guiding you to visit a sunny locale or invest in a full-spectrum lighting device. 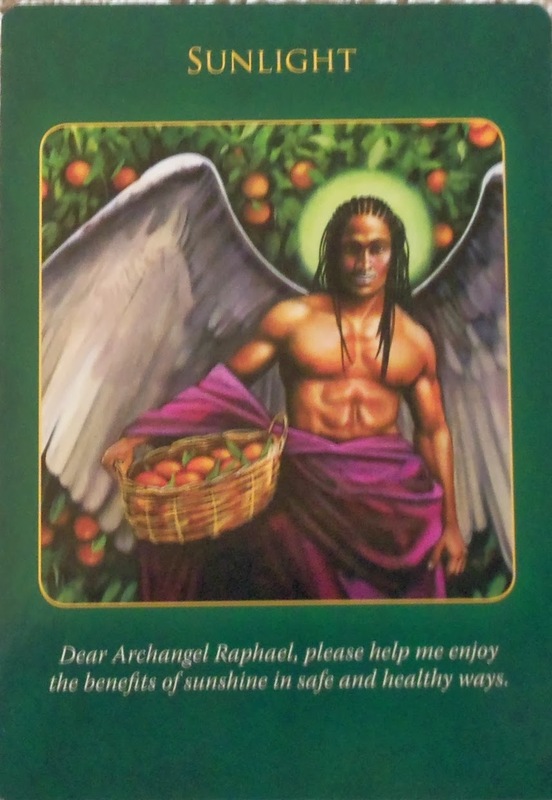 Archangel Raphael is prescribing vitamin D in its most natural form for your health. If a certain situation comes to mind that is upsetting you, visualize light surrounding the issue at hand. The sun has amazing healing abilities especially if you are feeling depressed. I have found the sun to be most beneficial in my healing. May you have a fantastic day my friends. I love you all!